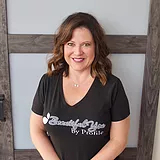 Pam is the Founder and Executive Director of Beautiful You. 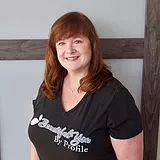 Pam has owned Profile Salon for 27 years (which is the home to Beautiful You). Pam has been a stylist for 31 years. Katie May is the Director of Operations of Beautiful You. Katie came on board January 2015. Katie has her BBA from Saint Mary’s College. Kim VanOeffelen is the Staff & Scheduling Coordinator for Beautiful You. 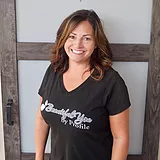 Kim is a retired salon owner & founder of a non-profit. Kim donates her time as a volunteer stylist every Beautiful You Monday. Emma is the Marketing & Development Coordinator for Beautiful You. Kelly Ruark is the Volunteer Coordinator of Beautiful You. Kelly has been a registered nurse for 30 years and currently works at Spectrum Health. Kelly has been part of Beautiful You since June 2014. 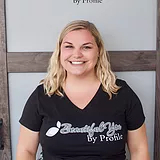 Beautiful You by Profile is a nonprofit offering spa treatments for cancer patients including hair treatments, scalp massages, custom haircuts, wig care, and more. Serving Comstock Park, Grand Rapids, Walker, Grandville, Rockford, Sparta, Ada, East Grand Rapids, and surrounding MI communities.